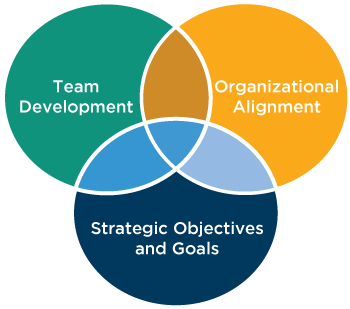 A blend of team development and strategic alignment, ALIGN shifts your team’s focus from that of a group of individuals to a highly aligned, high-performing team. ALIGN is a pragmatic, facilitated and formative process that allows your team to tap into its full potential. 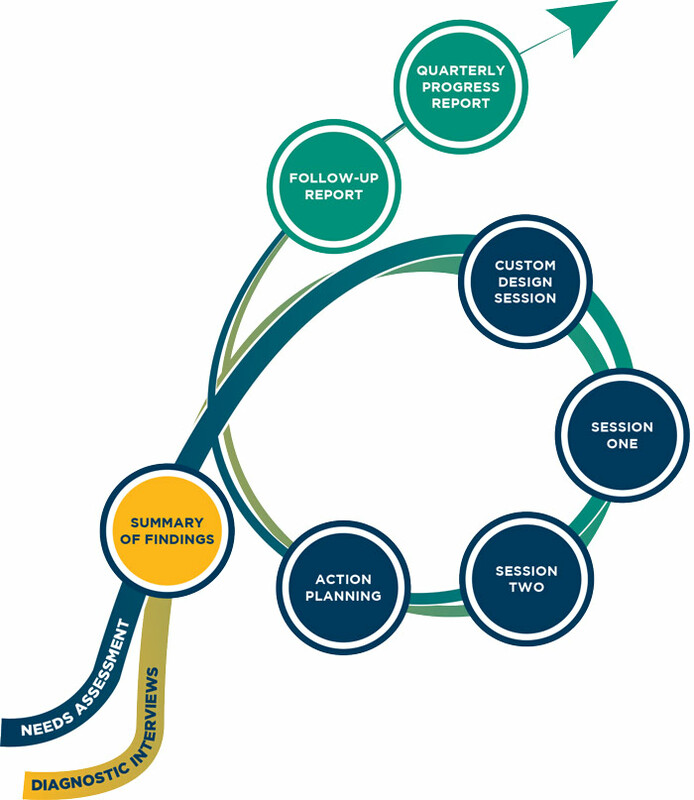 Throughout the process, your team will develop its teaming skills, strategically evaluate your organization, create an aligned vision for the future, and develop a strategic team action plan. A renewed view of core competencies, competitive advantages, and barriers to success.